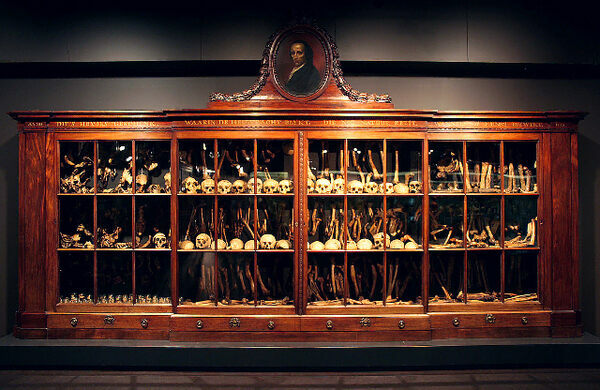 Possibly the largest collection of human deformities in one place, the University of Amsterdam’s anatomical and embryological museum began as the private teratological collection of Gerardus Vrolik (1755-1859) and his son Willem Vrolik (1801-1863). Both were professors of anatomy at the Athenaeum Illustre, the predecessor of the University of Amsterdam. Teratology is the study of deformity, a popular subject for anatomists in the 18th and 19th centuries. 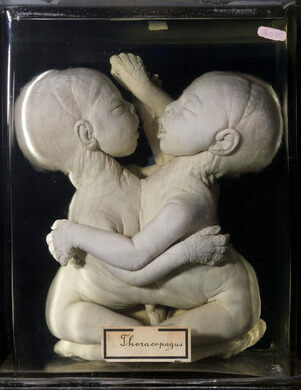 Willem wrote extensively on deformities, including cyclopia, the pathogenesis of congenital anomalies, and conjoined twins. 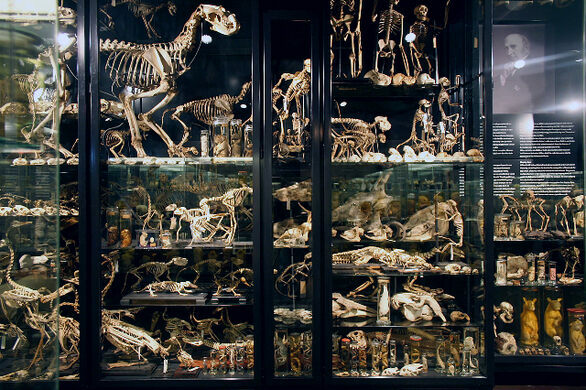 His personal collection of specimens built onto that of his father, resulting in several thousand items left behind at his death. The collection was purchased by the city of Amsterdam in 1869 and eventually found its home at the university. 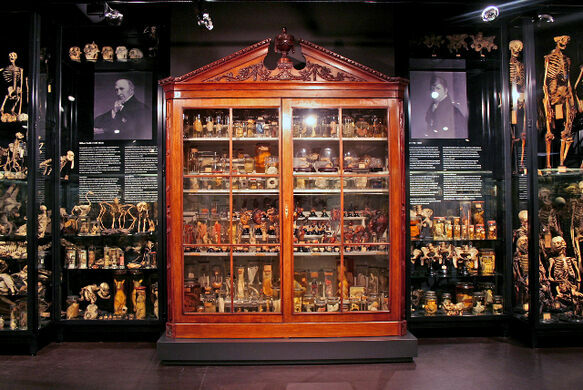 Other anatomical collections have been added to the museum over the years, including a collection of bone pathology, a dental collection, and other teratological specimens. 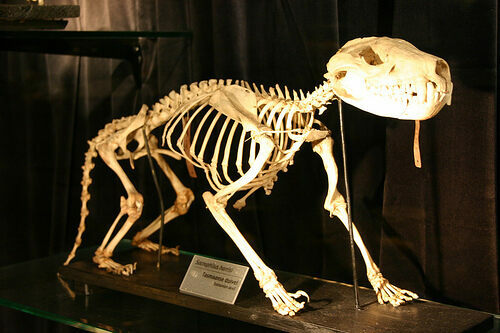 There are also a number of animal specimens in the collection. 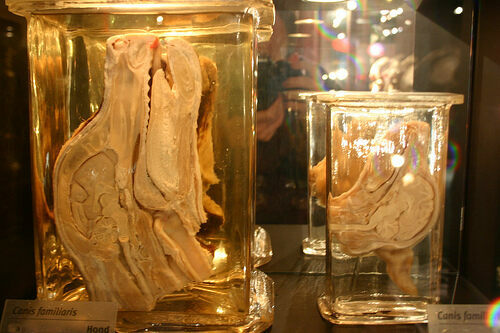 Since 1994, 150 specimens displaying anatomical oddities or deformations have been on display. Open Monday through Friday, 11 a.m. to 5 p.m. Entry will be €7.50 for adults and around €3 for children from September 2018. 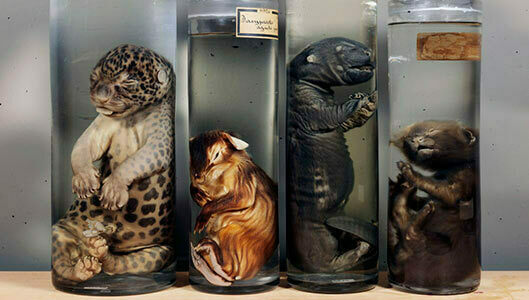 Guided tour for a group of up to 15 visitors is possible upon previous appointment with the Department of Anatomy & Embryology of the AMC, which supervises the museum (€50). How to get there: The Museum is located in the Academic Medical Centre in J0 (J-zero). By metro: exit on the station Holendrecht and walk eight minutes. By bus: lines 45, 46, 47 (stop AMC), walk two minutes. By car: get to the AMC driving south along A2 direction Utrecht, take an exit AMC and follow the signs; park your car in one of the visitors parking lots, take the corridor on the first floor to the main building (level 0) get to any of the AMC receptions located at each entry. From there, you will receive directions on how to get to the museum. This 1920s Amsterdam neighborhood was built as a giant experiment in concrete construction.